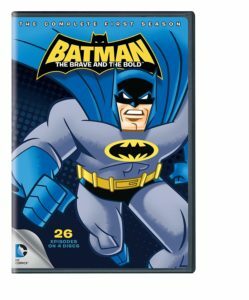 BATMAN: THE BRAVE AND THE BOLD was an animated Batman TV series that premiered in 2008 and ended in 2011. It was loosely based on DC Comics’ THE BRAVE AND THE BOLD comic book. In each episode, the focus was on Batman teaming-up with various DC Comics superheroes — both well-known and obscure. It is also a “love letter” to not only the Batman mythos, but the history of DC Comics as well. Diedrich Bader starred in the series as the voice of Batman. Other series regular voice actors included Jeff Bennett, Corey Burton, John DiMaggio (usually as Aquaman), Will Friedle, Tom Kenny, and James Arnold Taylor in various roles. 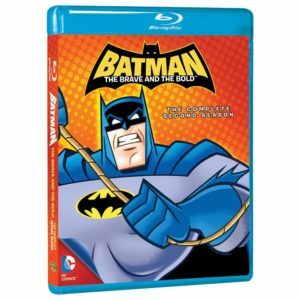 BATMAN: THE BRAVE AND THE BOLD was developed for TV by James Tucker and Michael Jelenic. It aired on the CARTOON NETWORK. 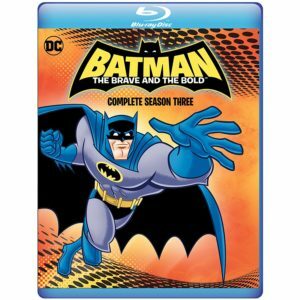 The series made a comeback in 2018 as Warner Bros. Home Entertainment released the SCOOBY DOO AND BATMAN: THE BRAVE AND THE BOLD animated film. As of this writing, more animated movies based on the series are possible. “The Rise of the Blue Beetle! Mayhem of the Musical Meister! Long Arm of the Law! The Golden Age of Justice! Clash of the Metal Men! The Super Batman of Planet X! Requiem for a Scarlet Speedster! The Masks of Matches Malone! The Vile and the Villianous!